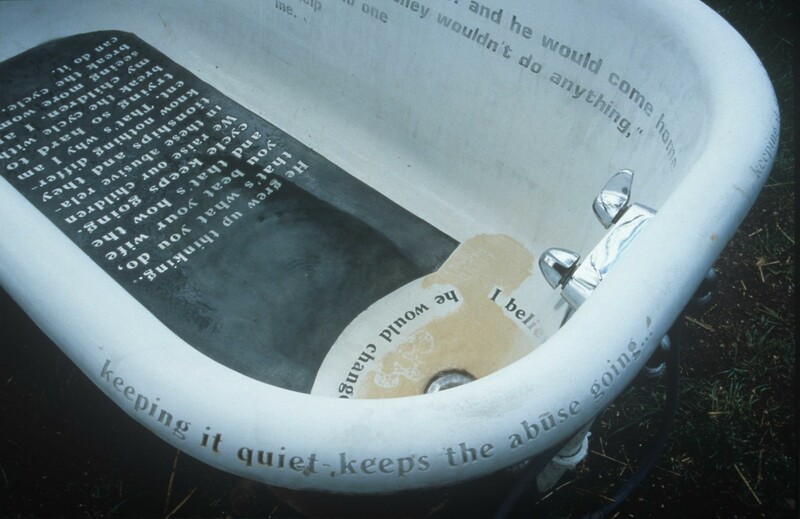 In 1996 Bradley McCallum was invited to create a public intervention in Victory Park, Albion, MI, during a residency at Albion College that addressed the issue of domestic violence within the community. Working with College art students he interviewed women who had been violated by men and transcribed and edited their testimony to highlight distinct commonalities in their experiences. 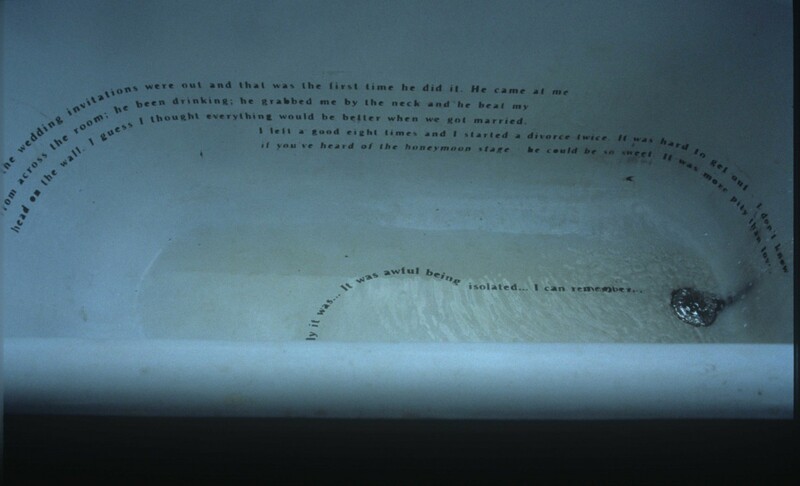 One of the most powerful ways in which women talked about domestic violence and sexual assault was by sharing their feelings of disgust and a strong desire to clean themselves after being raped. 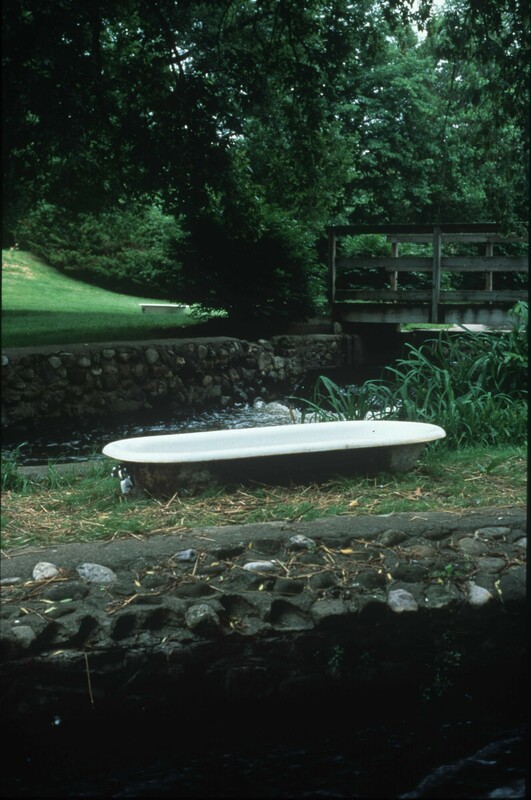 McCallum chose to use bath tubs because it is the most private of domestic spaces and represents cleansing, healing, purifying. 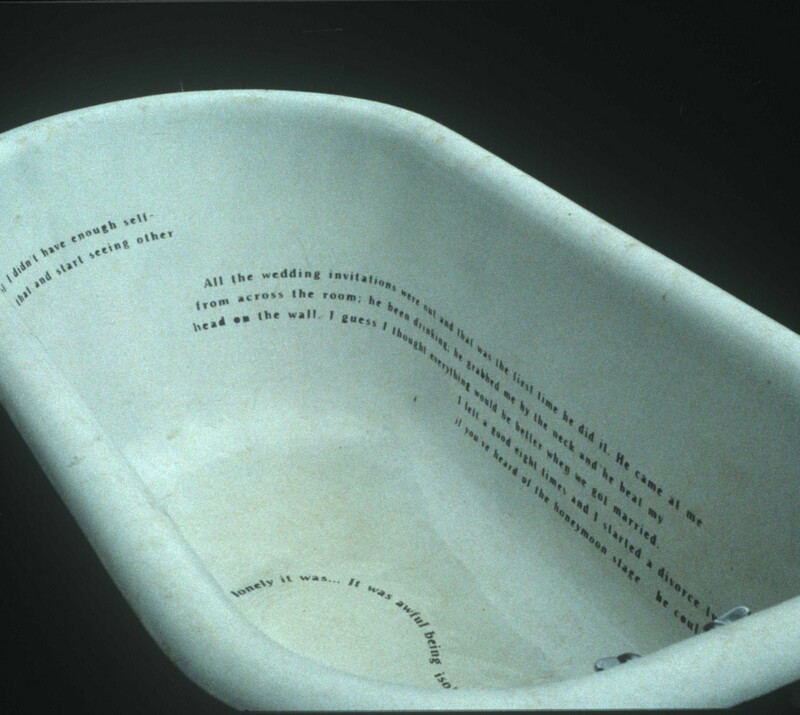 His idea was to take something personal and its reversal, the violation of the personal, into the public realm. 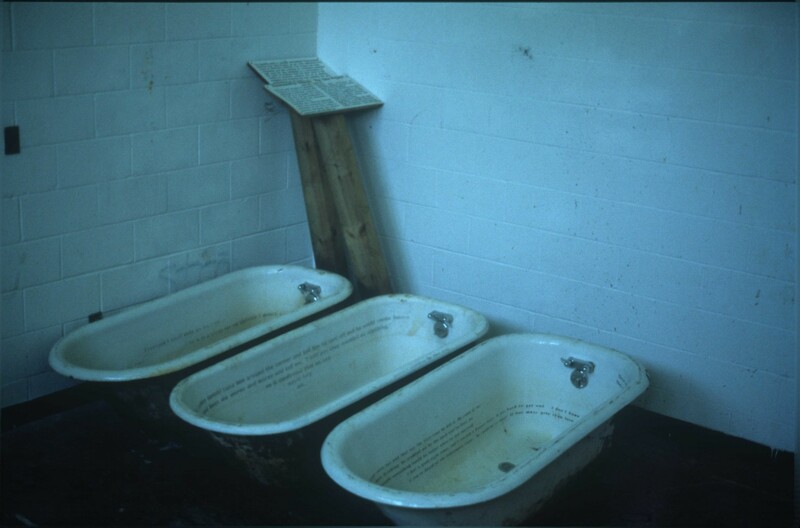 He sandblasted phrases from the edited testimonies of women into the cast iron bath tubs and installed the tubs throughout the park. 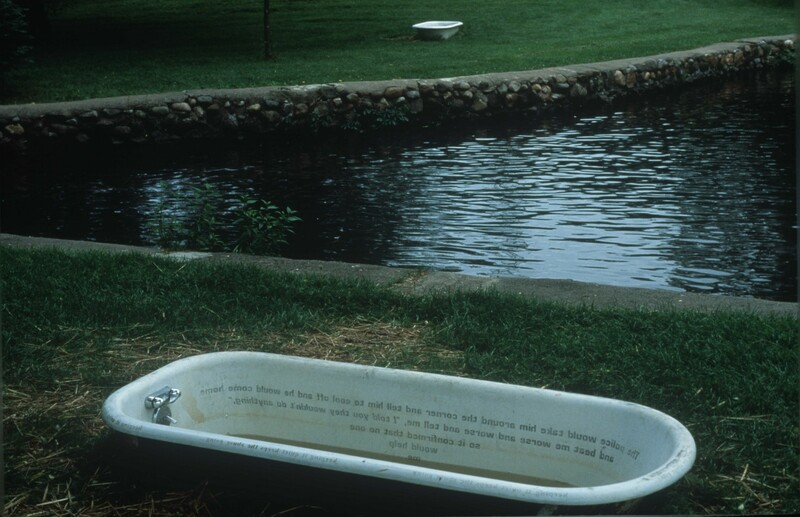 In addition, a small river ran along Albion Park and he devised a system for drawing water from the river and pumping it so that flows through each of the tubs. 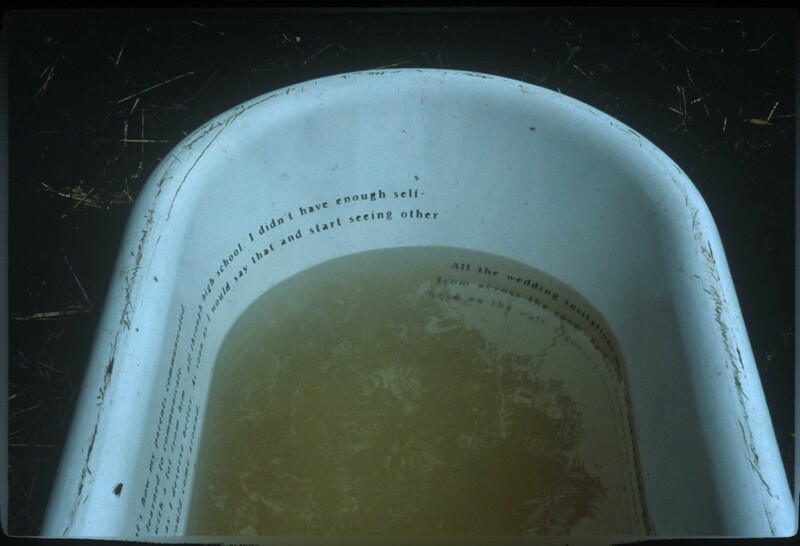 Over time, the text started to rust and metaphorically bleed into the water and flow out the drain. Park visitors thus came upon a poetic monument that gave voice to stories of local women. 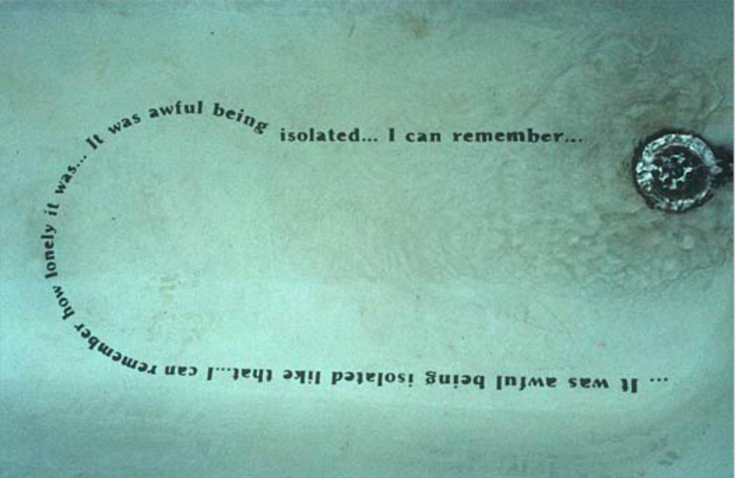 The installation provided a catalyst for an important civic discourse around the violence that men do to women.